Samsung's next smartwatch looks likely to get a change in both branding and operating system. 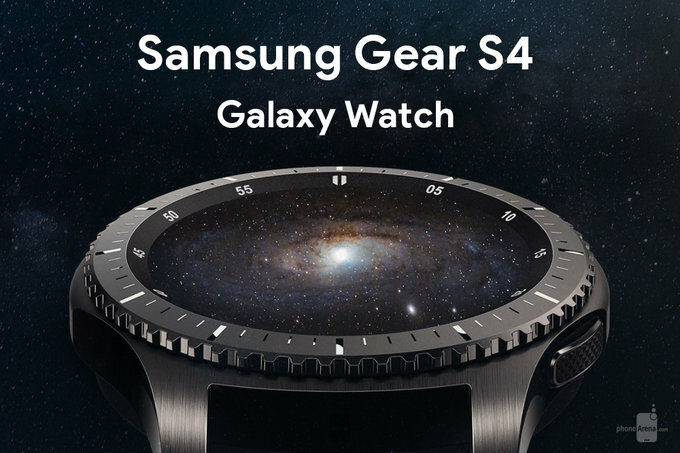 Not only will Samsung switch from its in-house Tizen OS for the device, but it will also drop its 'Gear' branding in favor of calling the device the 'Galaxy Watch.' Further, as previously hinted by Samsung executives, the Galaxy Watch will also pick up additional sensors to help make the device more useful and appealing to potential buyers. 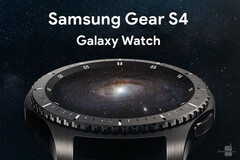 The switch from Tizen OS to Wear OS is perhaps the most notable change in the forthcoming device. Originally jointly developed by Samsung and Intel, it has been Samsung's 'plan B' operating system for some time. Although it has dabbled with smartphones running the OS, Samsung has largely persisted with Tizen for its wearables lineup as an application for its investment. The move brings Samsung's smartwatches into line with the rest of the Android-focused smartwatch market, but could also suggest that it has cooled on its ambitions for Tizen OS for now. As for the forthcoming Galaxy Watch, expect to also include a 470mAh batter, a PLP package, the new Wear OS UI and the addition of a blood pressure monitor. 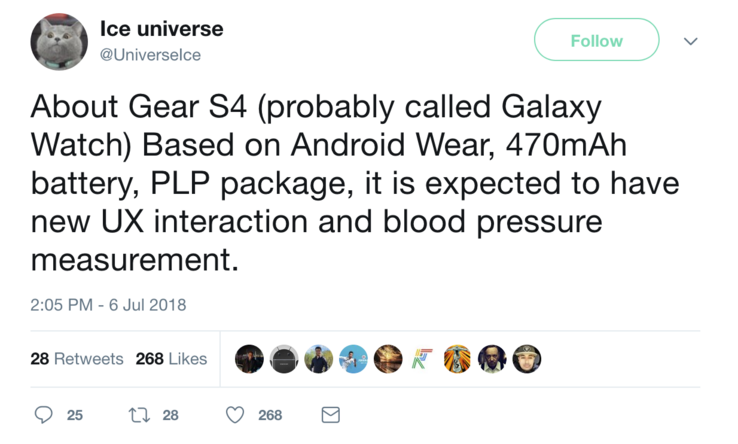 The latter is line with comments made by Samsung executives who believe that adding more sensors to its smartwatches will help broaden their overall appeal. With smartwatches finding a favor with fitness minded customers, it makes sense to add features focused on this market segment.